Royal standards at the Standard? The Revolt doesn’t venture to Blackheath Royal Standard very often so it was a nice treat to be there this past Sunday to check out the newly refurbished pub which from which the area gets its name. And first impressions, no doubt aided in part by the fantastic weather, were very good. It’s fair to say the Standard now has two very decent pubs that recommend themselves to locals and visitors alike – the other being the decent boozer and purveyor of fine pies, the British Oak. 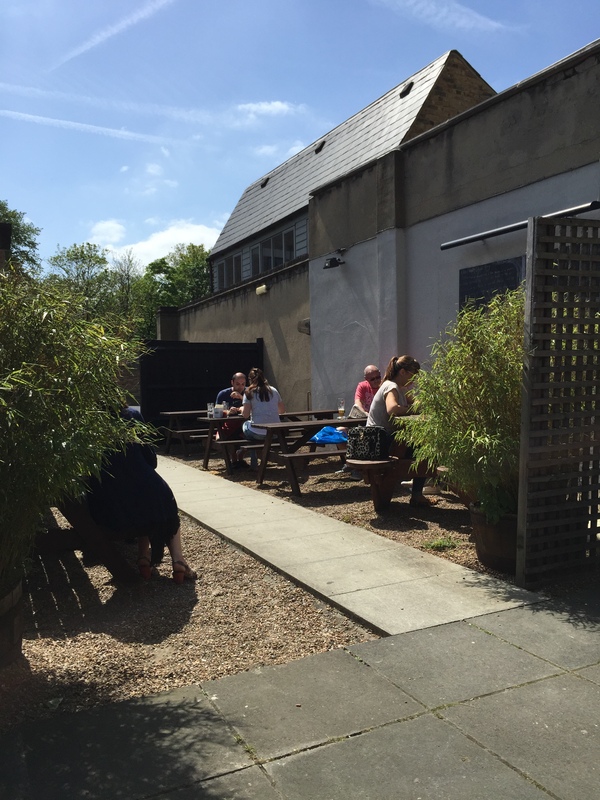 This is a spacious pub (with four distinct seating areas) and it’s clear that the refurbishment has enhanced the inside space as well as tidying up the exterior and rear beer garden. It has a bit of a feel of the Prince of Wales inside, though if anything has been even better done than the Princess following its own recent refurb. It has a modern feel, with lots of trendy lighting and nice seating, but doesn’t give the impression of having been re-decorated by numbers – as is so often the case with chains. All in all a vast improvement on how it felt before which though last seen several years ago by this Radical gave a lasting impression of being a bit tired and unloved. The lack of obvious signs of sports and coverage thereof is certainly a plus for us, though this is a view that won’t be shared by everyone and for all we know there may well be good sports coverage. 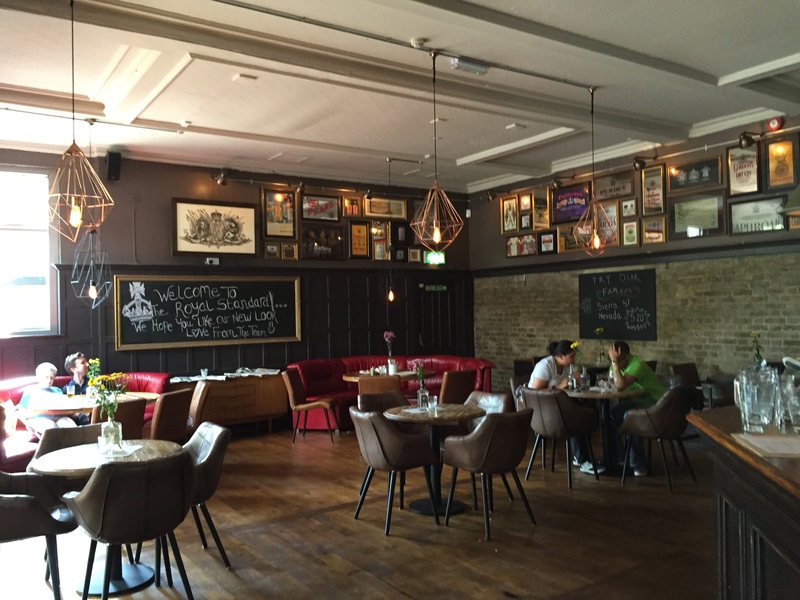 The ale selection – arguably the key success metric for any pub – is impressive. Your intrepid Radicals played it relatively safe this time, sample and Oxford Gold, Meantime Pale Ale and Black Sheep, all of which went down well. The wine and spirits selection also looked extensive. Service was good – no real wait at the bar, despite it being quite busy when we arrived at 2pm, and we understand the crew is expanding and, to quote Ian (manager?) will soon include some ‘old school’ staff who will help ‘get the party started’. We can’t wait. To the food. The warm weather meant we opted against a Sunday roast, though those seen on other tables looked decent and the price was comparable/more reasonable than other locals. 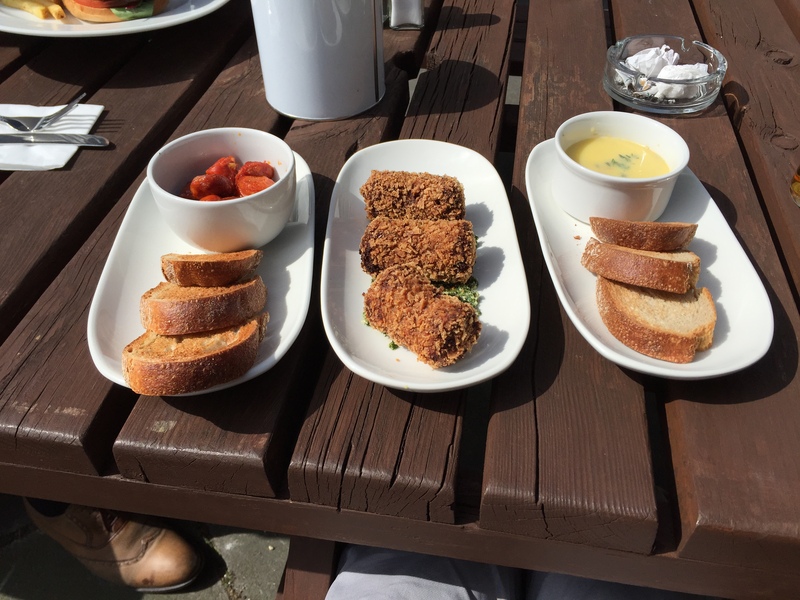 Instead a pub staple – cheese burger – and a sample of the small plates (three for £12) were ordered and duly dispatched. The small plates (chirzo, veggie croquets and chicken/duck pate) were tasty and went together to make a very satisfying alternative Sunday meal. There was a small problem with the burger and its constituent parts arriving but this was dealt with well by the staff (Candice) and the offer of a pint on the house as recompense was well received. Oh, and it was very tasty (the burger that is – the pint goes without saying…). The beer garden at the rear is a real sun trap and we could well imagine (indeed we may do more than imagine) spending several hours in it sipping and putting the world to rights. There are also seats to the front and rear, which may not to be everyone’s taste due to being close to the road but which would certainly afford great views of the passing traffic and the terrible parking all too common in and around Blackheath (and a source of much amusement to the Revolt). Overall, the Royal Standard is very much improved following the refurbishment and well worth the ten minute walk from the village – we’d recommend adding it to any pub crawl of the area, perhaps starting and then finishing here following a lap of the village regulars. It gives confidence that once the staff get in to a regular battle rhythm there will be a really good atmosphere in the place with plenty of scope for interesting activities / events. 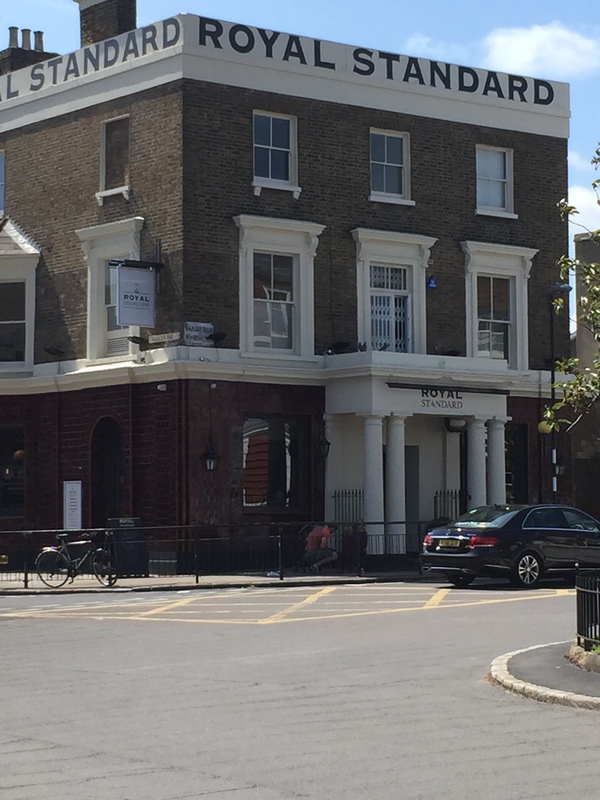 Do also pop down Old Dover Road to the British Oak – it’s a very different but equally pleasant establishment and if you’re in the area it’d be rude note to. Between the two there’s no doubt the standard of pubs in this bit of the parish has increased (geddit? ).